What Does it Mean to be Waiting for our Lord to Come? “The time for the Lord to act” might mean that the time has come for us to do something for the Lord. The correct interpretation, however, is this: “It’s time for you to act, O Lord.” Human experience confirms this: both the psalms of David and our daily lives show that every person in their life experiences a great mystery: the mystery of God’s silence. It often seems to us that God is silent. Or even more precisely, that God is absent. Often we seek God and want Him to do something, but He does not do anything, allowing events to develop as they would develop, this development can be dramatic and tragic for us, we can be shaken by injustice, sorrow, but despite that, God is silent. He does not interfere and does nothing. Naturally, a protest can start boiling in a person, as if they would like to say to God: “Why are You not doing anything? Why aren’t You acting? Why don’t You interfere and stop this, all this injustice, because You see it, and it is against Your law?” However, God is silent. God always acted like that. God did His work in silence. He appeared in the world, but at the same time as if absent in what is happening in this world, and not only in the personal life of a person, but even in the life of the Church. When we read lives of the saints, in particular, lives of martyrs of the first centuries of Christianity (as well as of our time), we see the following. There were Christians who were persecuted, who suffered martyrdom, paying with their blood for their faith in Christ. There were periods when it seemed that the Church was about to collapse, that the enemies of the Church had reached the apogee of their power, strength and glory, and the Church was falling to the very bottom of powerlessness and humiliation. Someone would say, “Why does not God intervene, why do heretics triumph? Why do things go so well with the enemies of the Church, and there is nothing good with us, and instead of good, we are going from worse to worse?” The Holy Apostle Paul says in 1 Corinthians 4:9: “For I think that God has displayed us, the apostles, last, as men condemned to death; for we have been made a spectacle to the world, both to angels and to men.” The “last” people, the most humiliated, were the apostles. God acts like this in our lives. Why? Because He wants to change our way of thinking, He wants us to turn on repentance, a change of mind (metanoia) and of the very way we think, so that we move away from the worldly way of thinking, and enter God’s way of thinking, which is sacrifice, love, and kenosis (emptying oneself) for another person. Let us think and observe that the Lord Himself in His earthly life did this when He was taken, given into the hands of men, and humbled Himself in the most humiliating way. 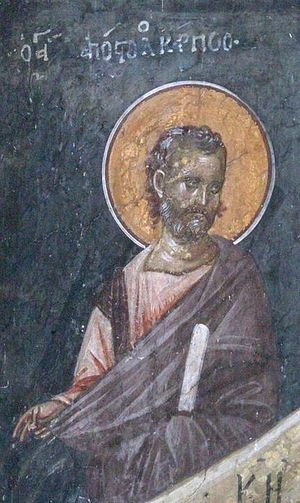 Then the Holy Apostle Peter, guided by human ways, wanted to cut off the ear of a servant, in order to show his valor and to fulfill his own will, but Christ reproached him and said: “Wait, do you think that I cannot protect Myself? If I wish, I will protect Myself; I can summon 12,000 angels to protect Me (Matt. 26: 53), but I do not want this, and do not need human protection. I voluntarily commit Myself to death, not opposing what is happening. In the Liturgy on Great and Holy Saturday, before the Gospel, once a year only, we sing this hymn: “Arise, O God, judge the earth; for You shall inherit all nations” (Ps. 82: 8). This does not mean that Christ was risen at that moment; it is just the prayer of the Church in which we pray for God to rise: “Rise up, finally rise, do not be so silent, humbled, hidden in the tomb.” This is a human expectation, our desire for something to happen. And it is good that we are not gods. After all, if we were gods, we would turn the whole world upside down in a couple of minutes! We would condemn everyone, and put them on trial, in our human way!.. This is really difficult, but the Church makes this change in us with her healing action, and most of all, this change is made by God Himself, who acts according to what He knows, and ultimately this helps us. Sometimes it takes many years, throughout which God does not speak at all; He allows one to be tormented until he changes his way of life. And we are torn by this feeling – that God should finally arise and stop our torments. It is a small text, where the elder talks about his own life experience. I will read it to you so that you can see how the saints bore this silence of God in their lives, and how this silence ultimately turned out to be the key that helped them open the door to holiness. The elder told them the following. Indeed, the life of this elder was marked both with strong rejection by other people and with great gifts from God. Imagine a man who has been trying to do God’s work for 57 years, and all the doors of this world would be closed for him! Whatever he began to do, he met huge obstacles. That is, it is very difficult to say that God is guilty or God is angry, and so everything in my life goes awry, but I myself am innocent. It is not easy for us to say these words, to put all the blame on God and to dismiss ourselves. “In other words, there are two positions. The first, “I am innocent, but God is guilty, He torments me, because He is angry,” and the second, “I am guilty, but God is innocent.” But both of these are difficult. 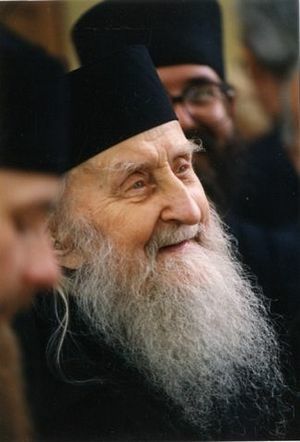 In the first case, you cannot attribute to God the difficulty through which you pass, and in the second, you cannot attribute it to yourself alone, when already suffering, you would have to bear an additional burden, namely, that it is you yourself to blame for everything, ”says elder Sofrony. Since God is silent, we are also silent. We can do nothing but remember each other in prayer, with love and compassion. I think this is a very strong text. All texts and words of the elder Sophrony are strong. I found this text, his living word to people, being kept in the monastery for personal use, and made myself a copy. Indeed, how typical this is in our lives! For all of us, without exception, there comes an hour when we go through such difficulties that we don’t even know what to say. Should we take the burden of responsibility? But we cannot stand it. We cannot bear it. There are so many misfortunes upon us already that we cannot bear their weight. Should we again attribute them to God? But this is also difficult, and we cannot do that either. What then shall we do? 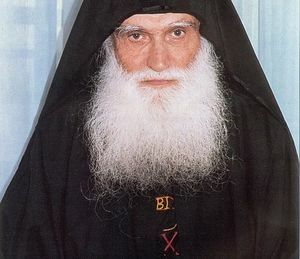 We do what elder Sophrony says: “God is silent, and we are silent.” We give our lives into the hands of God with great confidence. 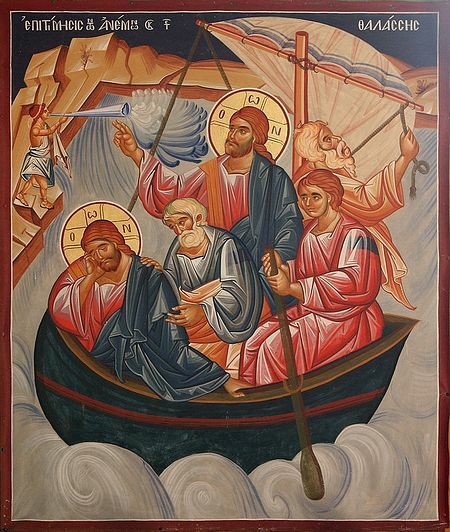 This is what we proclaim in the holy Liturgy: “… let us commit ourselves and each other and all our lives unto Christ our God.” Our very selves, all our deeds, all our lives we give into the hands of Christ in order to find peace, to stop biting each other, stop waging war, stop fighting with God. Why does this happen to me? Why so many difficulties, torments and tribulations? Why does nothing go right in my life? Why is everything wrong with me? I never did anything that went well! Everything goes awry! The elder said: “All the doors were closed, and never a single door opened before me.” We suffocate in turmoil; this is natural and human. We suffer with this question, “Why me?” But the question “Why?” does not have an answer, at least the answer we are looking for. God answers us with silence so that we understand that we need to calm down, find some peace. And when we put everything in God’s hands, when we are ready, although exhausted by all this, to give ourselves in God’s arms, to cling to God’s arms, then we will understand why this all happened. Then God will answer us. Do you remember the example of the elder Ephraim of Katunaki? For 42 years, he was a novice in the wilderness, in complete obedience to a very stern and captious elder, a tyrant, a man of a very difficult temper. He kept himself from judging the elder or going against him. Many times he gasped in his thoughts, saying to himself: “That’s it, I can’t take it anymore, I am leaving! It is impossible to live with him!” Every time he decided to leave and said to himself “I am leaving, that’s it,” God left him, and he saw (being a God-bearer) how grace abandoned him. Though the conditions would not improve, he would return, weep, and ask God to forgive him for having decided to flee. So 42 years have passed, and he kept praying, wanting to understand what to do in this situation. In the end his elder lost his mind, having become completely unbearable. The life of elder Ephraim became a torture. But all comes to an end, and his elder reposed. The burial began, and, as it is customary on Holy Mountain, before putting the body into the grave, Abba Ephraim came to take the last blessing from his elder, to kiss the dead before the burial. And at that moment, when he bent over to take a blessing from his elder, God in the Holy Spirit answered him: “It was God’s will that you would remain in obedience to this man for 42 years!” Only at that moment did Abba Ephraim receive this spiritual message from God. And he himself says that he answered God in grace: “Do You say this to me only now, when the elder died and is going into the grave? Why haven’t You said this to me for so many years? Why did You leave me for 42 years?” Indeed, he came to the Holy Mountain at the age of 20, and was 62 years old when the elder reposed. As many as 42 years! He came to the Holy Mountain a young man, and grew old, undergoing this martyrdom-like obedience. “What is the meaning of this for me now, when he died?” And God answered him: “If you left earlier, you would destroy yourself!” This is what God answered him. Of course, what I am telling you is not too inspiring, and naturally, we do not possess the measure of such people. Such elders don’t appear every day. Do not think that elder Sophrony, Abba Ephraim, or those great elders whose lives we read, led a serene life. On the contrary, their life was torment, their every day was work, pain, grief, tears, sweat and struggle. Those people did not find comfort in their lives. The things they were doing also did not go as they would like, but in the eyes of people, it all seemed a loss and humiliation. In the eyes of God, however, it was their glory. More than gold, yes, than fine gold! (Ps. 119: 127). That is, in all this I have discovered that Your commandments are the most precious thing in this world: better than gold, pearls, diamonds. Your word, your commandments are the most precious thing. Therefore, I loved You most of all, and did not consider that anything else deserves love, and I discovered that Your love surpasses any other love in this world. Therefore all Your precepts concerning all things I consider to be right; I hate every false way. Your testimonies are wonderful; Therefore my soul keeps them. (Ps. 119: 128-129). The entrance of Your words gives light; it gives understanding to the simple. I opened my mouth and panted, for I longed for Your commandments (Ps. 119: 130-131). You see, we say many things, but nothing happens. And when a single man of God speaks, with perhaps 50 people listening, everyone says: “You know, what he just said, he said directly to me!” “No,” says another. “He said that to me.” And so on. Everyone thought that the man of God had spoken to him. It was not so, but the Holy Spirit is the One Who lets everyone understand what he needs to understand at the moment. I happened to talk to some people who had gone to see a virtuous person, and they said: “We went there, and he told our thoughts in front of everyone, so we were offended.” The elder the didn’t ever have this in his thoughts, he just opened his mouth and said five words that God enlightened him to say. But these five words were for everyone what they required, and they all perceived what they needed to perceive. As it was with the Jews, when they ate manna, it was the same for everyone, but for everyone it became what they required. The same happens with the Holy Communion. As it is beautifully said in one place in the Holy Liturgy, “According to the needs of everyone” (in the priest’s silent prayer after the Lord’s Prayer). We pray to the Lord that the Communion of the Holy Body and Blood of the Lord may become for everyone what one needs. For those who are in need, may it be for the satisfaction of that need; light for those in need of enlightenment; support for the infirm. For everyone, may God be what they require. God works that way, and the God’s word works that way. In other words, commit yourself to the hands of God, as a child gives himself into his mother’s arms. Do not push God away, do not beat God Who holds you in His arms, for then you will hear what Saint Apostle Paul heard, when he was the persecutor, whom God held in His arms despite the fact that he persecuted Christians. On the day when Christ stood in the path of Paul, a persecutor of Christians at that time, Christ said to him: “It is hard for you to kick against the goads” (Acts 9:5). It is very hard to kick spikes with bare feet. Imagine a person who kicks a pitchfork with bare legs. Is there pain or insanity worse than that? It is not going to work. It is hard to resist God’s love, to push God away when He holds you in His arms. So be able to remain in God’s arms. When you understand this and humble yourself, then you will find peace, calm down, then you will take a deep breath and rely on great love and peace given to a person by the presence of God.